In software development, user acceptance testing (UAT) - also called beta testing, application testing, and end user testing - is a phase of software development in which the software is tested in the "real world" by the intended audience. UAT can be done by in-house testing in which volunteers or paid test subjects use the software or, more typically for widely-distributed software, by making the test version available for downloading and free trial over the Web. The experiences of the early users are forwarded back to the developers who make final changes before releasing the software commercially. UML made Jacobson's use cases state of the art. What's next? Is Agile requirement gathering that different from waterfall? How do you manage requirements in cloud-based apps? What is the link between test cases and requirements? This is incorrect. 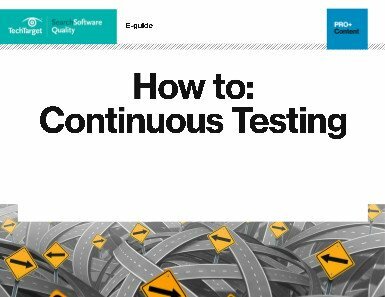 Processes should be setup to differentiate between end user testing, application testing and UAT. Beta is sometimes incorporated as a phase of UAT but also has its own definition.